The next full moon is known as the Cold Moon, the Long Night Moon, or the Moon Before Yule. The moon will be “opposite” the sun at 9:38 a.m. EST on Saturday, Dec. 10. The moon will appear full for about three days around this time, from the evening of Thursday, Dec. 8 through the morning — and possibly the evening — of Sunday, Dec. 11. 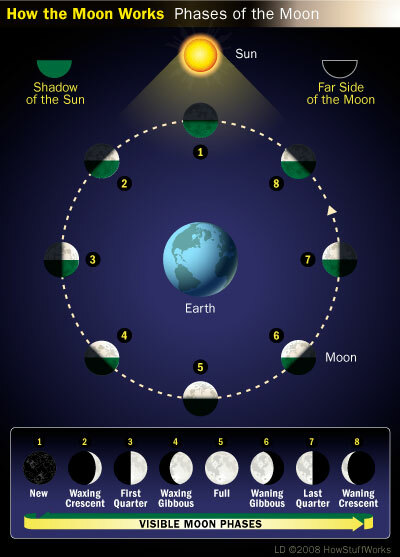 On Dec.10, the moon will be so “opposite” the sun from the Earth that it will pass through the shadow of the Earth. The Earth’s shadow will begin to reduce the amount of sunlight reaching the moon at about 6:34 a.m. EST, but the U.S. East Coast will not be able to tell that the moon appears dimmer before it sets at 7:08 a.m. EST. The full shadow of the Earth (called the umbra) does not start to fall on the moon until about 7:46 a.m. EST, well after the moon has set for the U.S. East Coast. Even for the U.S. West Coast, the eclipse will be near moonset, making this a difficult eclipse to view. The extended period with reduced sunlight, including 51 minutes in the full shadow of the Earth, presents a challenging environment for spacecraft at the moon (LRO, the twin GRAIL spacecraft) that rely upon sunlight for heat and solar power. Because the two ARTEMIS spacecraft are in highly elliptical orbits around the moon, it is not clear if or how they will be impacted. Europeans call the December full moon the Moon before Yule. Yule is an old northern European winter festival that is now associated with Christmas. The Native American names for the full moon in December — as reported in the Farmer’s Almanac — are the Cold Moon or the Long Night Moon. The Cold Moon gets its name because December is the month when it really starts to get cold, although our coldest average temperatures are in January. The Long Night Moon gets its name because the full moon in December occurs near the solstice, which has the longest night of the year. The full moon takes a high trajectory across the sky because it is opposite to the low sun, so the moon will be above the horizon longer than at other times of the year. We all know the moon is not made of cheese, but what is it made of? Believe it or not, there’s a lot of ice on it. Scientists have been able to study samples brought back from the moon’s surface during the Apollo missions. 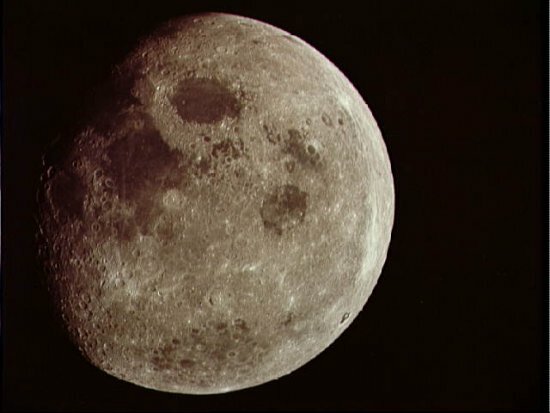 In addition, recent missions like NASA’s Lunar CRater Observation and Sensing Satellite, or LCROSS, and Lunar Reconnaissance Orbiter, or LRO, made it possible to study the moon’s composition in space. With LCROSS and LRO, NASA has been able to observe lunar dust within the moon’s craters and make a more detailed lunar topographical study than ever before — and they’ve made some pretty exciting discoveries about the moon’s composition. The biggest finding, of course, was evidence of water on the moon, but that was only the beginning of the discoveries. Along with water, LCROSS also uncovered evidence that the moon has its own water cycle and that the water is typically present in the form of pure ice crystals. Scientists were able to study the moon’s composition in 2009 when LCROSS impacted in a deep crater on the moon’s surface, ejecting a plume of material that might not have seen sunlight in millions of years. Instruments on the orbiting LRO satellite picked up traces of ice crystals and other volatiles, compounds that freeze and are trapped in the cold lunar craters and vaporize when warmed by the sun. As much as 20 percent of the material kicked up by the LCROSS impact was made up of volatiles, including methane, ammonia, hydrogen gas, carbon dioxide and carbon monoxide. The instruments also discovered relatively large amounts of light metals such as sodium, mercury and possibly even silver. Scientists believe the water and mix of volatiles that LCROSS and LRO detected could be the remnants of a comet impact. According to scientists, these volatile chemical by-products are also evidence of a cycle through which water ice reacts with lunar soil grains. The proportion of volatiles to water in the lunar soil indicates a process called “cold grain chemistry” is taking place. Scientists have theorized that this process takes thousands of years and could happen on other frigid bodies, like asteroids and moons of other planets. The dark side of the moon has captured imaginations since we first stepped foot there over 40 years ago. From Pink Floyd to the recent Transformers movie, popular culture has theorized what is on the side of the moon that is in perpetual darkness. So, what is the dark side of the moon? Are there really alien robots on the other half of the moon, or have we shed a little more light on the subject? Well, it turns out that there actually isn’t a “dark side.” Like the Earth, the moon has both a day and a night. 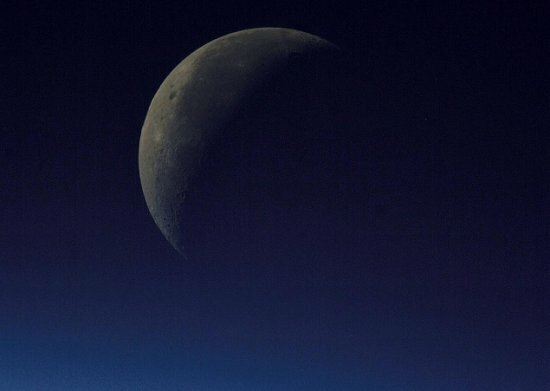 It is better to say that the moon has a “day side” and a “night side” than a “dark side.” Sometimes, the side facing the Earth is the day side, and other times it is the night side: this is why we observe moon phases. Both sides of the moon receive sunlight. Caption: Phases of the moon. 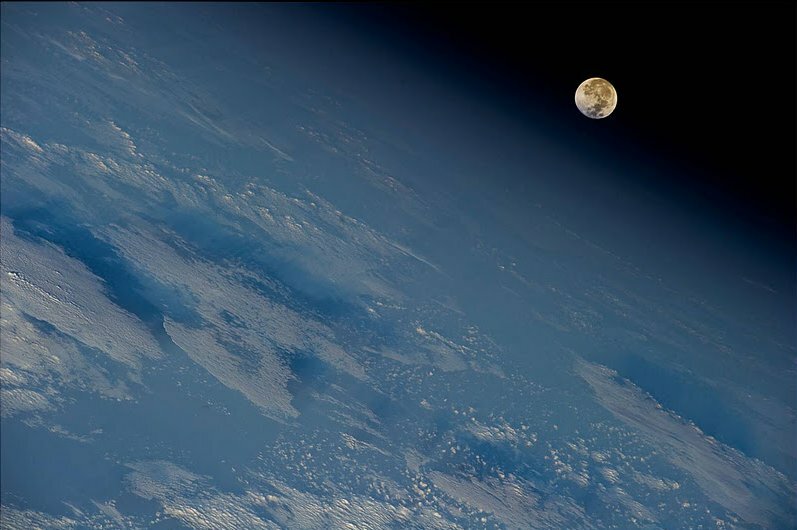 The reason it seems that only half of the moon receives sunlight is because the Earth only views half of the moon. It is more accurate to say that the moon has a near side and a far side. The near side is always facing Earth and the far side is always facing away, because the moon revolves around the Earth at the same rate that it rotates on its own axis. It takes 29 days for the moon to rotate around its axis, and it also takes 29 days for the moon to orbit around the Earth. If the moon did not rotate, or if it orbited slower around the Earth, then we would be able to see the other side of the moon, but because these rotations happen at the same rate we always see the same side. This term is known as synchronous rotation. 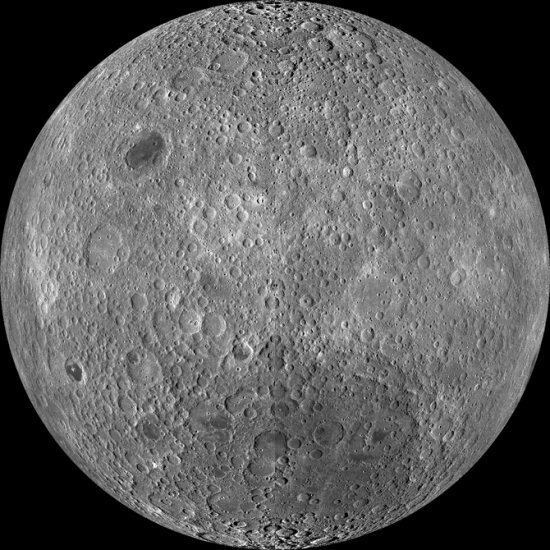 While only one side of the moon faces Earth, we still have an idea of what the far side looks like thanks to NASA’s Lunar Reconnaissance Orbiter Camera, or LROC, Wide Angle Camera, or WAC. The LROC was the first space craft to take high resolution photos of the far side of the moon last March, finally giving scientists a complete picture of the moon. Caption: The lunar far side, seen by the LROC WAC. There may not be aliens on the far side of the moon, but there are still many questions about it that we are still in the dark about, like why does the crust appear thicker on the far side? As NASA continues to explore the far side of the moon, people will no doubt continue to be fascinated by the “dark” side and continue to look for answers to illuminate its mystery. NASA has released a new book for visually impaired people to experience the wonders of the moon. 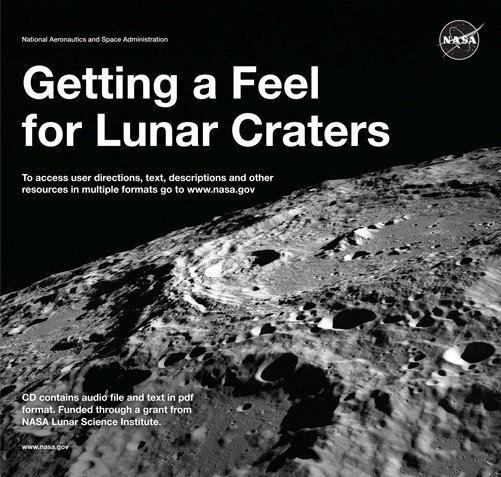 Called “Getting a Feel for Lunar Craters,” the 17-page book features Braille and tactile diagrams of the lunar surface, craters and peaks. The book was created and funded by NASA’s Lunar Science Institute, or NLSI, at Moffett Field, Calif. The author is David Hurd, a space science professor at Edinboro University of Pennsylvania in Edinboro,PA. Biggest Full Moon in 20 Years! Stargazers are in for a big treat this weekend! On Mar. 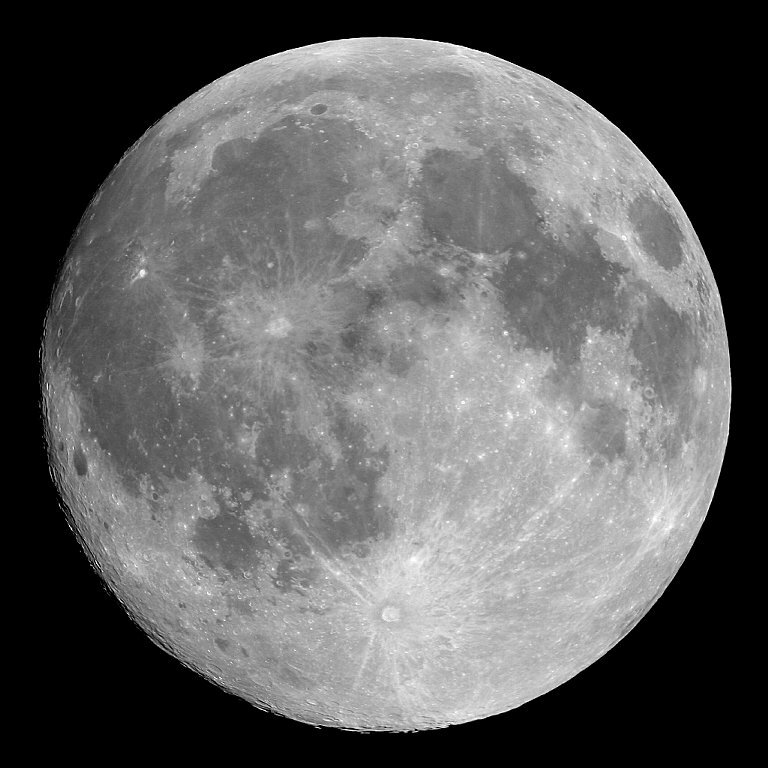 19 the full moon will brighten the night sky as the biggest full moon seen in almost two decades. The moon will be at perigee, its closest point to Earth — only 221,565 miles (356,575 km) away. scale — the eccentricity of the moon’s orbit has been exaggerated. The last time the full moon coincided with an extreme perigee was Mar. 8, 1993 when it was a distance of 221,536 miles (356,528 km) from the Earth. This Saturday night, the moon will appear 14 percent bigger and 30 percent brighter in the sky than lesser full moons — when the moon is farthest from the Earth. But to the casual observer, it may difficult to tell the difference. For the best viewing — and dependent upon clear skies, of course– look when the moon is near the horizon at sunset. The orbital geometry combined with the moon’s location near the horizon, put in scale next to buildings and trees, will combine to produce an awesome sight. 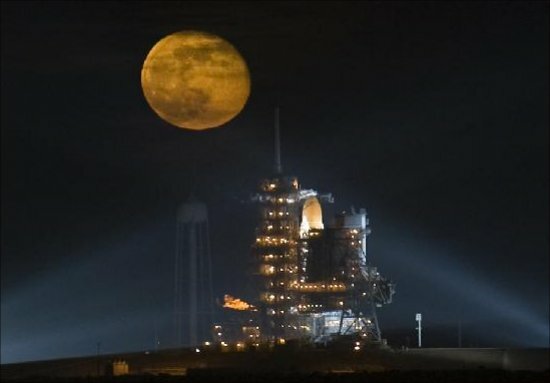 Full moon over space shuttle Endeavour in 2008. 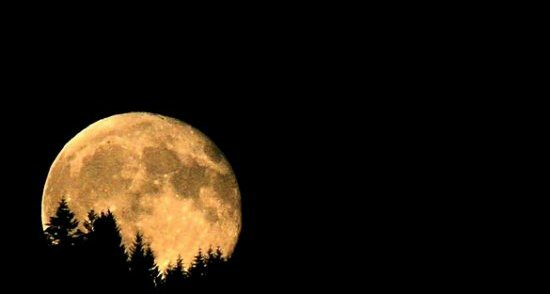 Author themoonPosted on March 18, 2011 May 23, 2013 Categories UncategorizedTags full moon, moon, skywatching7 Comments on Biggest Full Moon in 20 Years! Dr. Renee Weber, a planetary scientist at NASA’s Marshall Space Flight Center, will participate in a live video webcast on Feb. 16 at 7 p.m. CST. 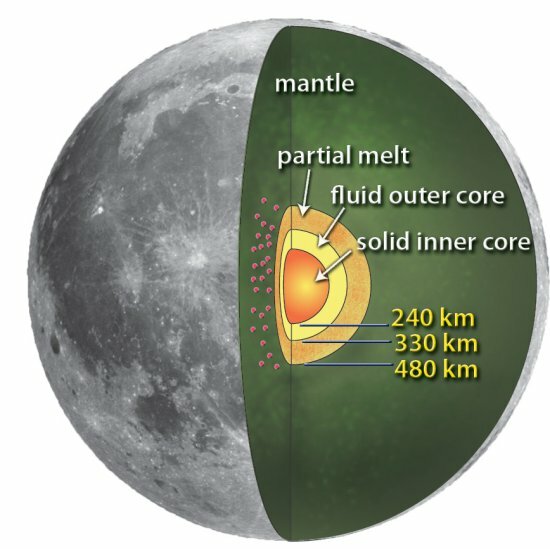 Weber will discuss new research which definitively identified details about the moon’s core, as announced in a January issue of SCIENCE magazine. The moon is Earth’s nearest celestial neighbor. It’s the brightest object in the night sky and has profoundly influenced the course of human civilization. For early humans, the moon provided lighting for hunting and defined when crops should be planted and harvested. Markings of lunar phases appear in cave paintings in France and defined the arrangement of Stonehenge. At the moon’s closest distance, it would take 135 days to drive there in a car going 70 mph. The moon has almost the same surface areas as the continent of Africa. The lunar maria or “seas” were formed by ancient lunar volcanic activity. Author themoonPosted on February 4, 2011 May 23, 2013 Categories UncategorizedTags lunar, moon, moon core, NASA1 Comment on Hello, Neighbor!